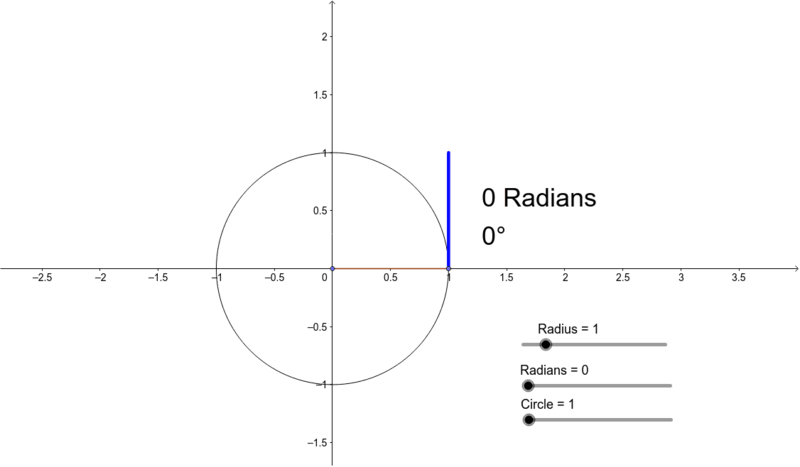 Use the Radius slider to change the length of the blue tangent. The slider tells you the length of the blue tangent in terms of the length of the radius. For example, if you set the slider to 2.5, the blue tangent will be 2.5 times the length of the radius. Use the Radians slider to change the central angle and "wrap" the tangent line around the circle. Think about the connection between the angle (in radians) and the length of the arc it intercepts. Use the Circle slider to change the length of the radius of the circle. How does this affect the relationship between the angle (in radians) and the length of the arc?